We go on nature walks whenever we pass a park with a trail. After a while they all start to look alike because they’re mostly either a tropical hardwood hammock, characterized by stands of live oak, gumbo limbo and palm trees, or the more recognizable mangrove. 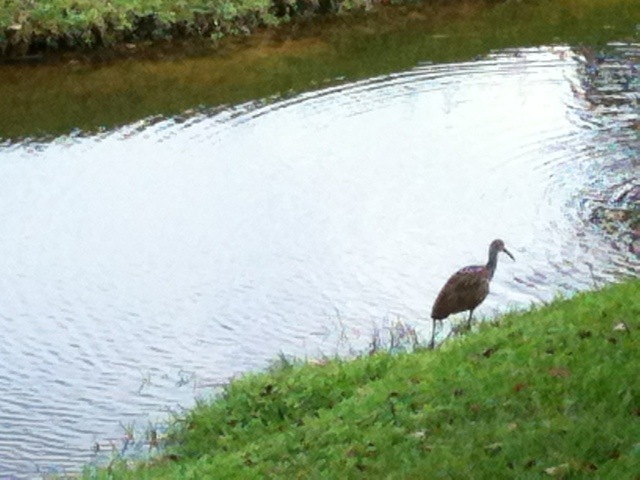 Yesterday we wandered through a different kind of ecosystem at the Hobe Sound Nature Center. 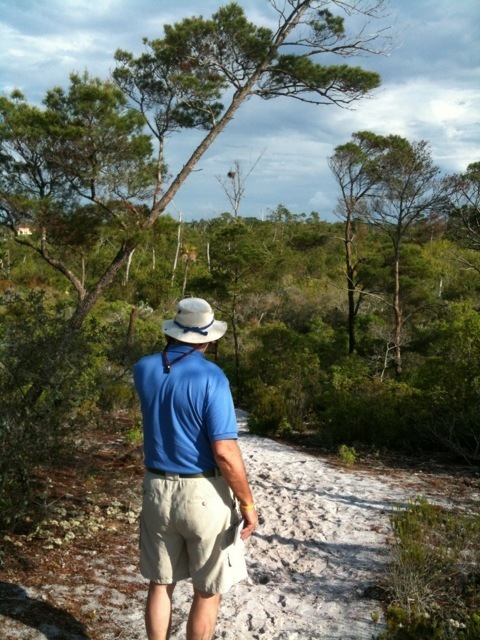 This is sand pine scrub, one of the smallest ecoregions in the US. 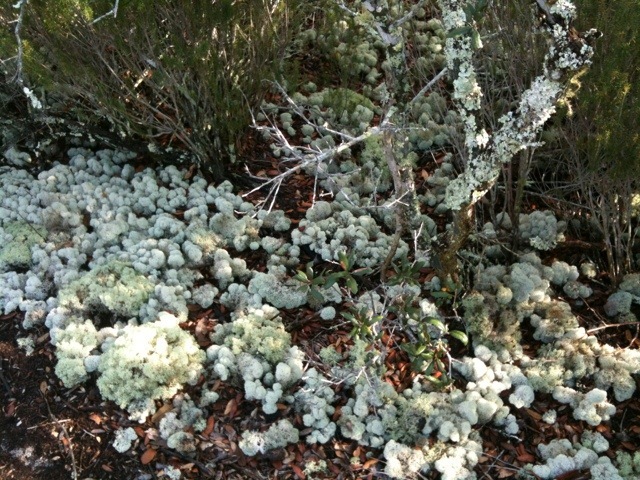 It’s a somewhat hilly, very dry, open area with loose sandy soil supporting palmettos, rosemary and bay, and absolutely covered in the kind of lichens we used to use as bushes on the HO train platform. There were few trees in this particular area, but we did spot a very large nest in the tallest tree. 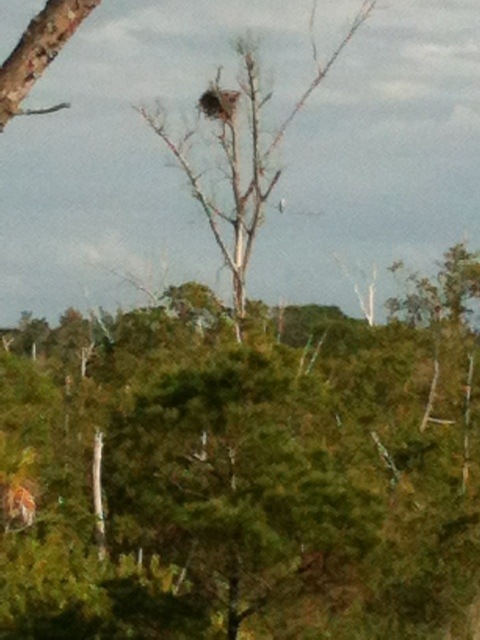 With the binoculars we could clearly see the giant osprey on a branch below and a little head poking out of the nest. Sadly, there’s no giant zoom lens on the iPhone. Last night we heard shrieks coming from a tree across the water from us. 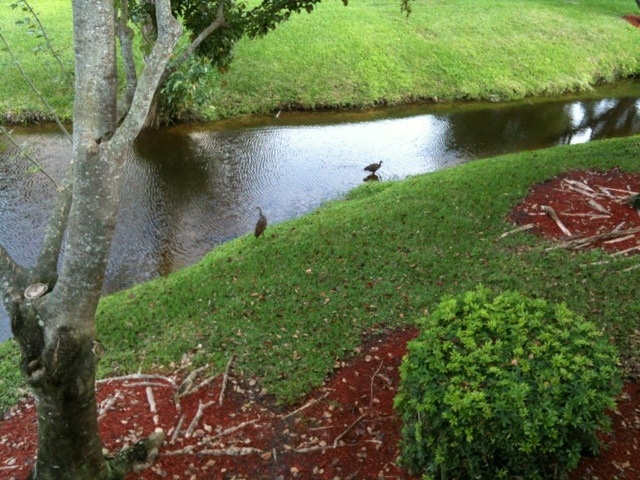 It was dusk so we couldn’t see the bird but this morning a pair of limpkins walked by and after we looked them up we learned they were likely the source of the unusual calls we heard. Thanks for the great posts and pictures. I am living vicariously through your information.